Lavern Leo Allard, affectionately known as "Vern," was born in South Dakota on January 13, 1923. He resided in Jefferson, a small French-speaking farming community, with his three brothers (Oswald, Martin, and Dean) and sister (Georgette) for most of his life. 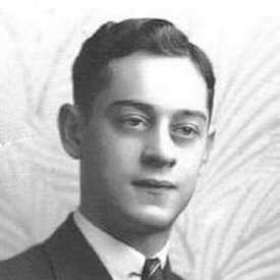 Lavern graduated from high school in 1941, and his classmates recalled him as a quiet, reserved gentleman. With the shadow of the Great Depression looming over the Allard residence, Lavern, Oswald, and their father moved to Seattle, Washington, to start a new life. Upon arriving, the tables turned for the Allard family. All of the men quickly found work, and Lavern had the highest paid job, parking cars as a valet. With a steady stream of income flowing, it was not long before Lavern was ready to send for his sweetheart, Ruth Dore of Sioux City, to move to Seattle. The couple married in November 1942 and began adjusting to their new way of life. After a few weeks of marriage, the 20-year-old’s world was drastically changed as he and his two older brothers were drafted into the military. The Washington state economy has traditionally been based on fishing, timber, and agriculture, but that changed during World War II. From Boeing aviation to shipyards to the Manhattan Project, Washington State became one of the most important states in the nation working to win the war on the homefront. Upon being drafted into the U.S. Army, Allard trained at Camp McCain in Mississippi. After undergoing training in the use of firearms and gas, Allard was moved overseas to continue training in Ireland in October 1943, joining Company A of the 2nd Infantry Regiment, 5th Infantry Division. 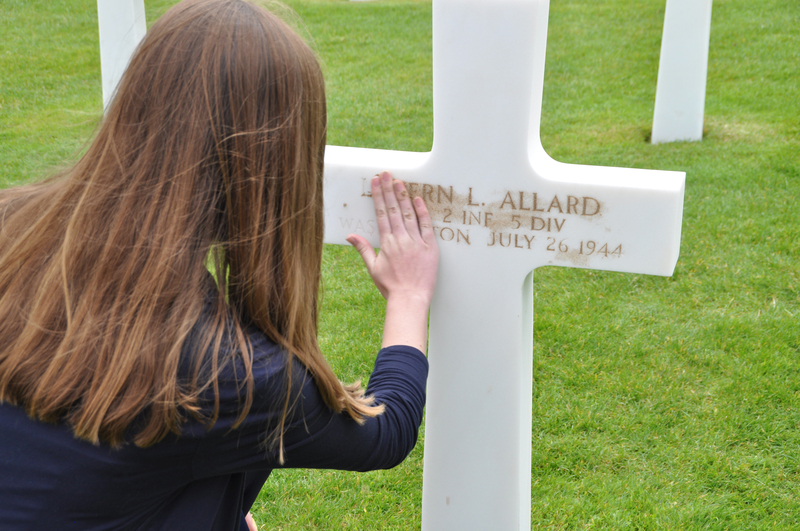 On July 10, 1944, Allard landed on the Sugar Red sector of Utah Beach. He was assigned to Operation Cobra, a mission designed to break through the German lines (including the Panzer Lehr Division, the 2nd SS Panzer Division, the 5th Parachute Division, and the 275th Infantry Division) in the Saint-Lô/Périers area of Normandy, France. Operation Cobra commenced on July 25 as 1,800 B-17s and B-24s dropped over 3,000 tons of explosives before noon. The bombings caused major devastation to Germany’s Panzer Lehr Division, utterly destroying their tanks, communications, and command posts. German General Fritz Bayerlein described it as “a pall of dust, with fountains of earth spewing high in the air” which killed thousands of German soldiers. 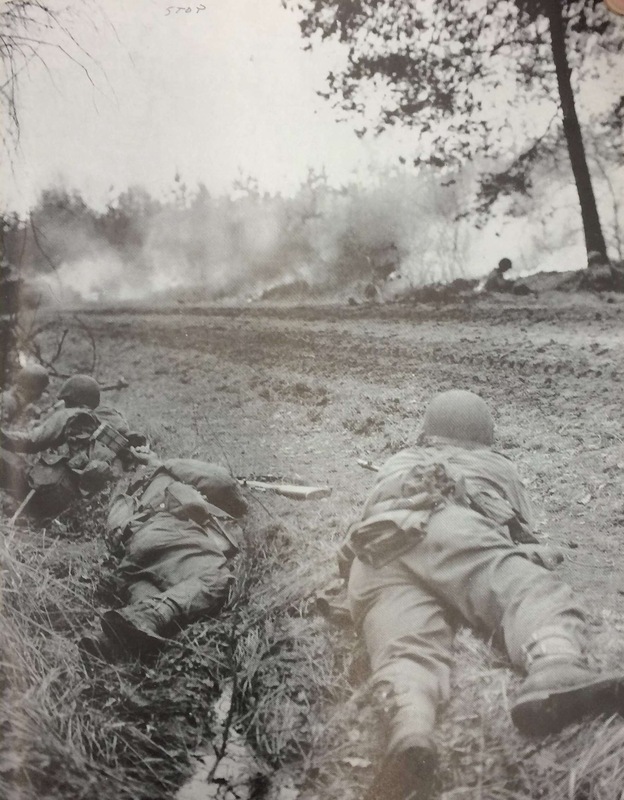 As a result of Operation Cobra, a five mile wide gap opened, allowing over 100,000 American troops to cross through and continue the war. Further east, on July 26, the 5th Infantry Division sought to capture the village of Vidouville and gain higher ground. The Battle of Vidouville commenced early in the morning as Company A infantrymen were the first to advance toward the village. After advancing several hundred yards, they were met with intense fire that claimed Allard’s life. 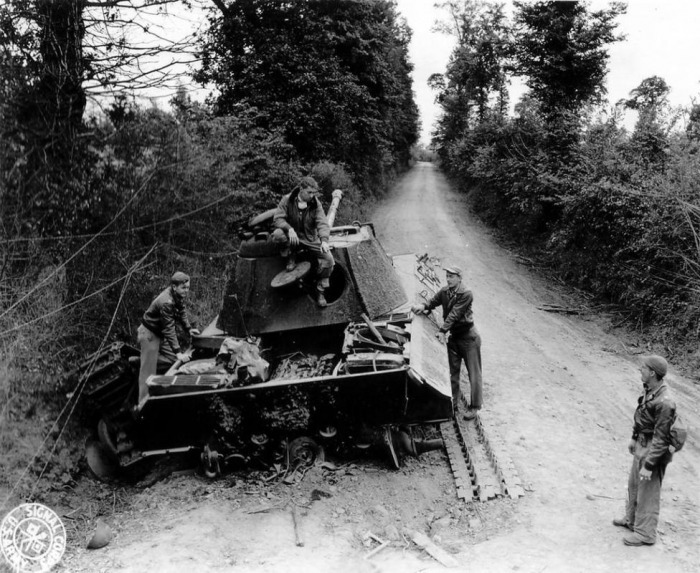 Despite heavy casualties, Vidouville was successfully captured, allowing the Allies to gain more ground in France and push back the German lines. Behind every name there is a story. Hundreds of thousands of American soldiers lost their lives during World War II. For many, this is simply a saddening, impersonal statistic. But these soldiers were not just numbers — they were loving husbands, caring fathers, goofy brothers, and hardworking sons. The true cost of war is not learned by counting the numbers dead but by knowing the individuals, like yourself and others, that make up that number. When your life was cut short, Ruth lost her husband, Edme and Edward lost their son, and Dean, Oswald, Martin, and Georgette lost their brother. Now, I feel as though I have lost a friend. You are not forgotten. Your classmates, nephews, and brother are proud of your service, and a plaque hangs in honor of your life in your church, Saint Peter’s in Jefferson, South Dakota. It was heartwarming to speak with residents of your hometown who truly wish to preserve your life story. Getting to know you through the loving memories of your friends and family has been an honor. Seeing the beautiful countryside of France and the free people within it are evidence that your life was not lost in vain. It has been a privilege getting to know you these past few months, and I will never forget your sacrifice. Thank you. 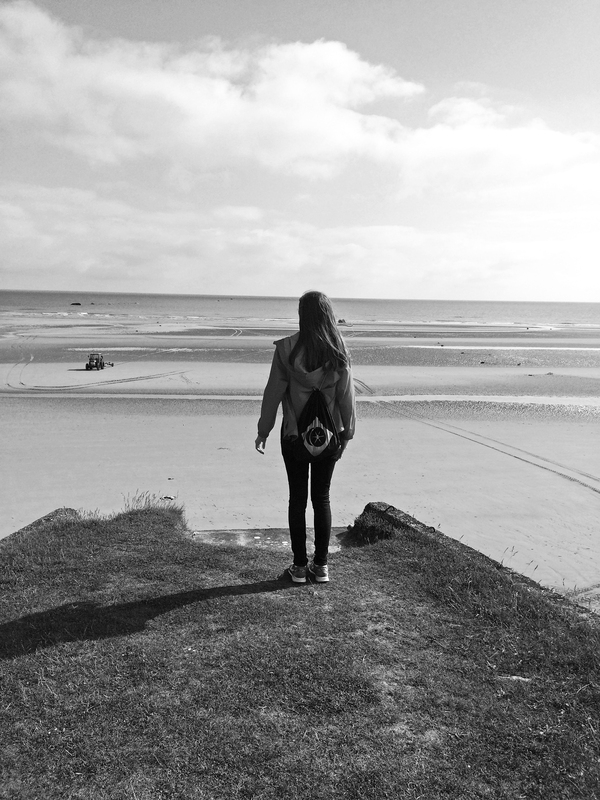 As I stood atop a German bunker overlooking Omaha Beach, gazing out over the vast expanse of the shore, a seemingly obvious realization sank in — history is real people, real events. The beautiful beach I was looking out over — sun shimmering over the rising tide, gentle waves rushing over golden sand, birds chirping gentle tunes in the background — was once a raging war zone with hundreds of ships approaching, thousands of courageous soldiers rushing, voices shouting, guns firing, and uncertainty looming. Decades later, the beach is back to its original state — pure peace. 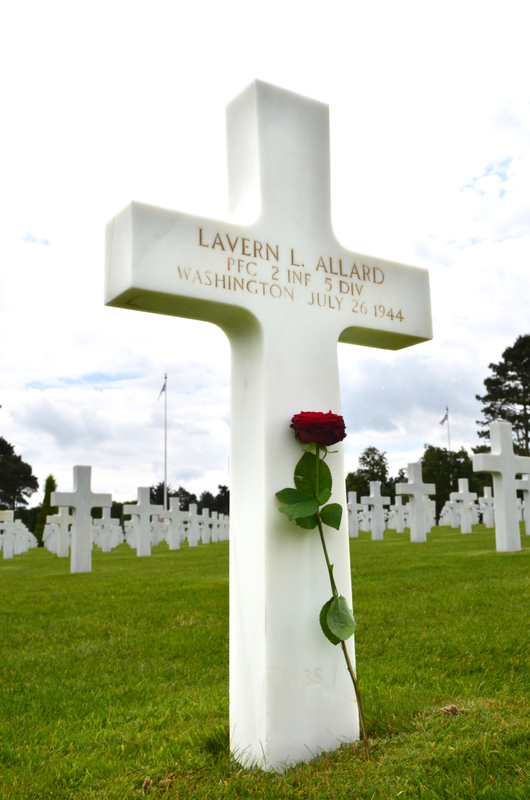 Delivering a eulogy at the gravesite of my Silent Hero, Private First Class Lavern Leo Allard, was one of the most moving experiences of my life. I hung back by his tombstone for a while, reflecting back on the chain of events that had led me to that moment. Over the course of the year, Lavern Allard changed my life. He introduced me to people I otherwise would never have met. He showed me that if I am willing to put in the effort, I can accomplish anything. He showed me that whatever the setback, you must put one foot in front of the other and carry on. He showed me that people from all walks of life are able to unite and work together. He showed me that freedom is not free and requires sacrifices. I never thought I would grow attached to a person I have never met, and I am sure he never thought he would inspire a 16-year-old girl from a small town in Washington State in the twenty-first century. Allard, Dean. E-mail interview with Hannah Doyle. March 9, 2016. Atkinson, Rick. “Operation Cobra and the Breakout at Normandy.” United States Army, July 22, 2010. www.army.mil/article/42658/operation-cobra-and-the-breakout-at-normandy/. Accessed May 2016. Bernard, Dan. Phone interview with Hannah Doyle. March 3, 2016. Dusenberry, Alice. Phone interview with Hannah Doyle. April 29, 2016. Gryzwinski, Larry. E-mail interview with Hannah Doyle. February 22, 2016. Lavern Leo Allard Individual Deceased Personnel File. Department of the Army. Lavern Leo Allard Official Military Personnel File. Department of the Army. Warren, James. "World War II Home Front on Puget Sound." History Link, September 13, 1999. www.historylink.org/index.cfm?DisplayPage=output.cfm&file_id=1664. Accessed January 2016.